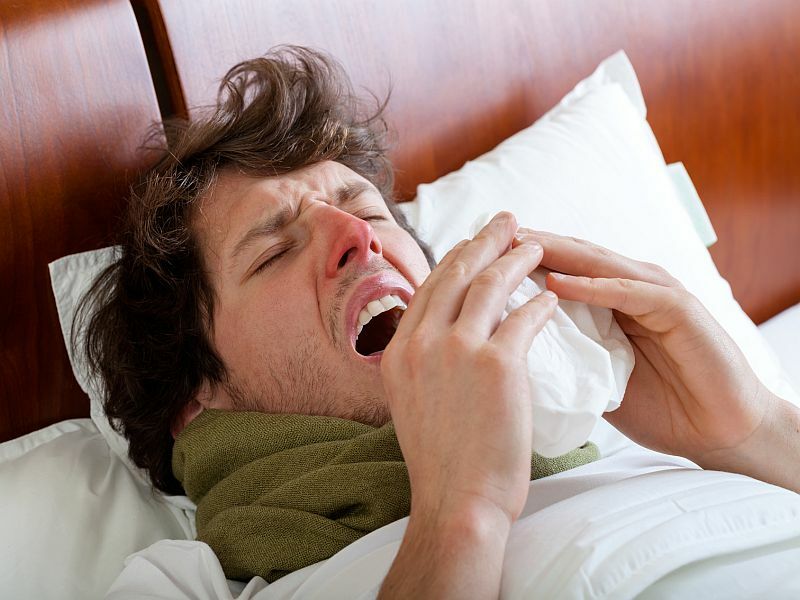 THURSDAY, Oct. 29, 2015 (HealthDay News) -- Cold and flu season has arrived, but there are a number of things you can do to protect yourself from infection, an expert says. "People over the age of 65 should get a high-dose flu shot. People under the age of 65 should get a regular flu shot. People who are under 65 and allergic to eggs should get nasal flu spray," Dr. Howard Selinger, chair of family medicine in the School of Medicine at Quinnipiac University in Connecticut, said in a university news release. "Flu shots are safe, last for a year and are covered by insurance." People with chronic illnesses require even more protection, Selinger said. "People over 65 with any type of chronic illness, such as diabetes, high blood pressure or heart disease, should get two pneumonia vaccines: Pneumovax and Prevnar. These vaccinations are given separately and protect from 36 strains of pneumococcal pneumonia. After getting vaccinated, patients should be sure to continue treating underlying conditions," Selinger said. If you do get a cold or the flu, don't go to work or school until your symptoms improve, Selinger said. Stay hydrated by drinking lots of liquids; take fever medicines such as acetaminophen or ibuprofen and decongestants; use cool mist vaporizers; and keep your head elevated. Antibiotics are not effective against cold and flu viruses, Selinger explained. "Treating these conditions with antibiotics can be tempting, but antibiotics are for bacterial infections and their overuse for viruses can lead to antibiotic resistance for individuals and society," Selinger said. "People who are otherwise healthy should wait five to seven days before visiting their physician to investigate the possibility that they are suffering from a bacterial infection that will respond to antibiotics rather than a virus that will not respond. If you go to your doctor and are offered antibiotics, ask why," he advised.